The World Health Organization said the Zika virus is “spreading explosively” and officially declared it a public health emergency last week. WHO estimated 4 million people could be affected in the Americas. Zika has already spread to more than 20 countries in Latin American and the Caribbean. The virus, which has no vaccine or cure, is especially dangerous for pregnant women because of its probable link to infants born with unusually small heads and abnormal brain development, a condition called microcephaly. Zika is a flavivirus, a family of pathogens often transmitted by ticks and mosquitos. Well-known viruses in this family include dengue fever and yellow fever. Most people infected with Zika don’t get sick. For those who do (about 1 in 5), the symptoms are often mild and may last 4 to 7 days. 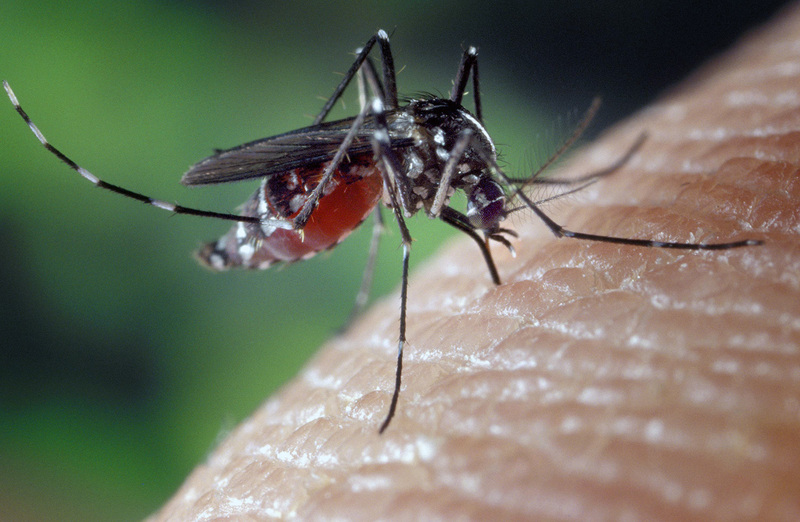 Zika is transmitted through a bite from Aedes mosquitoes, the same mosquitoes that spread Chikungunya virus and dengue fever. These mosquitoes are aggressive daytime biters, according to the Centers for Disease Control and Prevention. Although the virus stays in the blood very briefly, it spreads easily in crowded urban environments, especially in places with standing water and no air-conditioning or window screens to keep mosquitoes at bay. Is the virus transmitted through sexual contact? The CDC recently recommended that men who have traveled to a Zika-endemic area should consider using condoms if concerned. Additionally, these men should use condoms if their partners are pregnant for the duration of the pregnancy. A digitally colorized transmission electron micrograph of Zika virus. Virus particles, shown in red, are 40 nm in diameter, with an outer envelope, and an inner dense core. Sanford also said that it is important to visit your healthcare provider or a travel health clinic before international travel. How can people protect themselves from Zika in affected areas? Take precautions against mosquito bites. “You can reduce your risk significantly by using bug repellant containing DEET, spraying clothes with permethrin and sleeping under a bed net,” said Sanford. Why has this virus emerged? Where did it come from? Zika is not a new virus. It was first discovered in Uganda in the 1940s. Since then, Zika outbreaks have occurred in Africa, Southeast Asia and the Pacific Islands. The virus spreads rapidly among susceptible populations that lack specific immunity to Zika. This is exactly what has happened in Brazil. It has been theorized that the virus was introduced into Brazil at the time of the World Cup Soccer tournament in 2014. Will Zika become an epidemic in the United States? With many travelers going to the 2016 Summer Olympics in Brazil, Coombs said that susceptible people without immunitymay become infected and bring Zika back home with them. But even though the Aedes mosquitoes exist in the southern parts of the United States, it is unlikely the virus will spread in the United States at epidemic levels because of vector control programs in place. Other species of mosquitoes, such as those in Washington state, do not carry Zika. How can the virus be prevented from spreading? Coombs and Sanford both said that basic public health infrastructure is essential to the control of Zika virus.